Steve Rohan is a popular jock in Pittsburgh. He has been the AM drive personality since 96.9 BOB FM has been on the air, and his distinct voice is easy to recognize. Steve’s already had two pots of coffee before you get going in the morning. 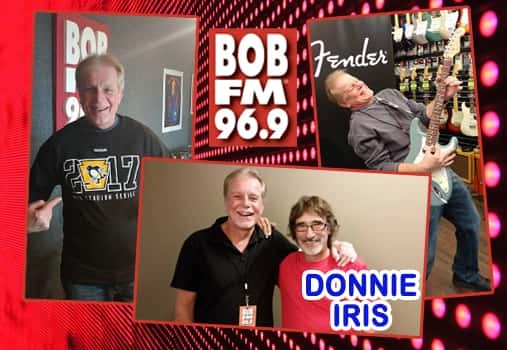 As the host of “Wake Up With Bob”, Steve plays a ton of music and keeps you updated on weather and traffic for your drive to work. And don’t forget the The 9 AT 9. Rohan is involved in all types of charity work and believes it’s important to super-serve the community. He can be found hosting live music festivals, volunteering for local fundraisers, or helping a dedicated team of listeners organize a charity event. Rohan is known for his extensive knowledge of music, and useless music facts. It’s been said that if you attend a concert with Rohan, you might end up in the dressing room with the band for drinks! Keep up with Steve on BOB’s Facebook page!